I absolutely love anything coco-nutty. 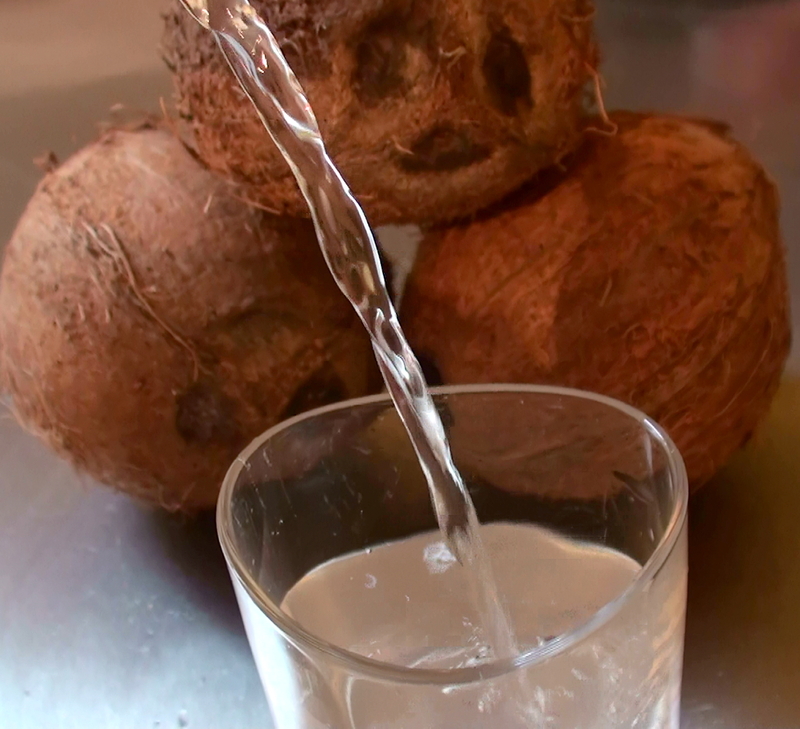 I cook in coconut oil, use it in my hair, eat the ice-cream and I drink coconut water. Often! It’s deliciously sweet, low in calories and packed full of goodness and you can get it anywhere nowadays. Coconut water is the clear liquid from young green coconuts (not the brown small ones in the picture, but they don’t sell the green ones in my supermarket) and they can contain up to one liter in a nut. It’s full of health promoting vitamins like the B’s and vitamin C and important minerals like potassium, magnesium, sulphur, chlorine and also plant hormones called cytokinins that have anti-aging and anti disease fighting properties. It also stops me raiding the biscuit-tin mid afternoon. Apart from plain water, it’s the only drink I reach for after exercise, due to its high content of electrolytes, it’s especially high in potassium. It’s quite common to be a bit deficient in potassium, and especially teenage girls might need a potassium boost. It’s been suggested that because we used to eat a potassium rich diet, low in sodium, the body held on to the sodium and is still doing this even though nowadays, it’s the other way around. How come I hadn’t heard of coconut water before? This is a brilliant idea! Will get coconut water ASAP!